$2 for BIG load. Bargain! When we knew we were moving into an apartment, I reluctantly sold my awesome high efficiency washer and dryer. 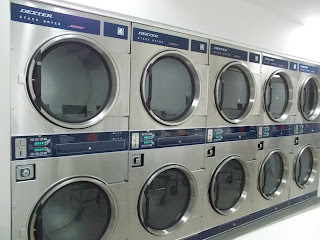 It was hard to let go of a quiet, low water and low energy use set that also did a fantastic job of cleaning my clothes, best washer-dryer I ever owned. We griped about the cost and inconvenience of using the coin-op washer and dryer. It was just one door down the hall, a few steps away. 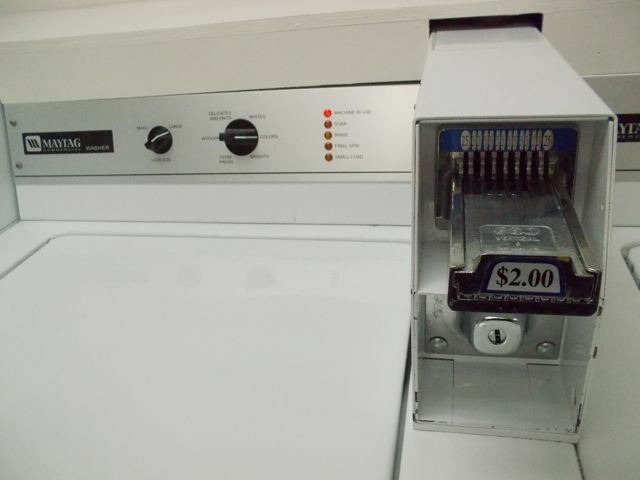 It cost $1.50 a wash, and $1.00 for a dry cycle. The units were noisy, un-energy efficient and didn’t do nearly as good a job of cleaning our clothes. Wayne is able to read while our clothes are being washed. Then came the boat. 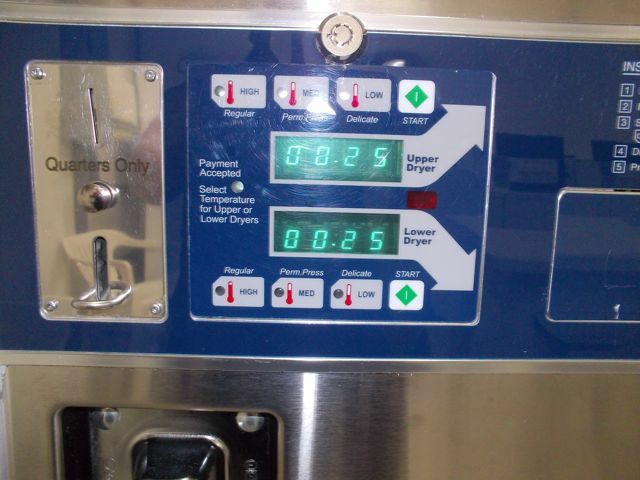 Our options to pay as much as $18 a load for a service to wash our clothes, and about as much at a laundrymat to do it ourselves. So we nearly always manually washed everything (click here to see what that looked like in "Grapes of Bath" post). It took hours of hands-on and sometimes feet-on work. Then everything was carefully draped and clothes-pinned all over the outside of our boat, taking care to avoid sacrificing it to the ocean while sun baked and the wind blew them dry. Their dry time was sometimes extended by an extra unintentional freshwater rinse. 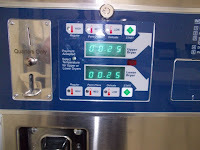 When we found out we could pay just $3.00 to wash and dry a good-sized load using new, good quality machines, we thought we’d practically died and gone to heaven. Okay; I did. Wayne was less excited, but certainly pleased. Who would’ve expected that in the otherwise nearly-everything overpriced British Virgin Islands? All this in a little marina in Fat Hog’s Bay, Tortola. 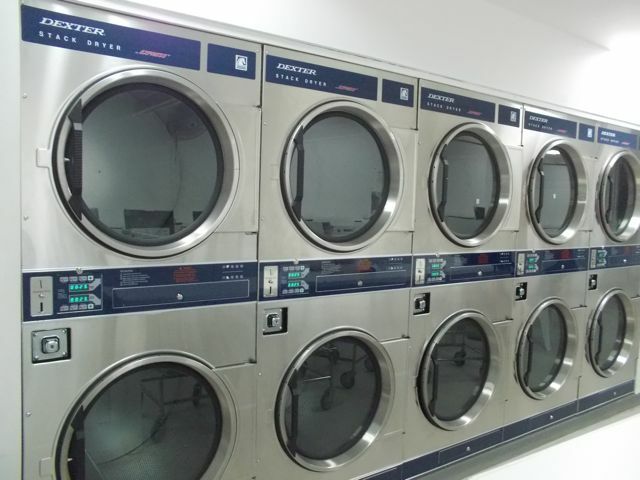 For non-cruisers… next time you’re feeling inconvenienced when you use your washer and dryer, imagine the alternatives. Cruisers, well, you know exactly what I mean, even if you too at least once in a while do the short-cut ammonia water wash. If you’re in Tortola, it’s worth a stop in Fat Hog Bay, just for $3 / load laundry. It was by far the best wash our clothes got since we left the States. 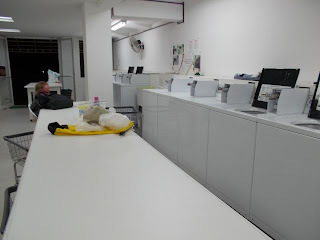 We washed anything even slightly dirty and ran 3 big loads. I swear I will never take an affordable washer and dryer for granted again.